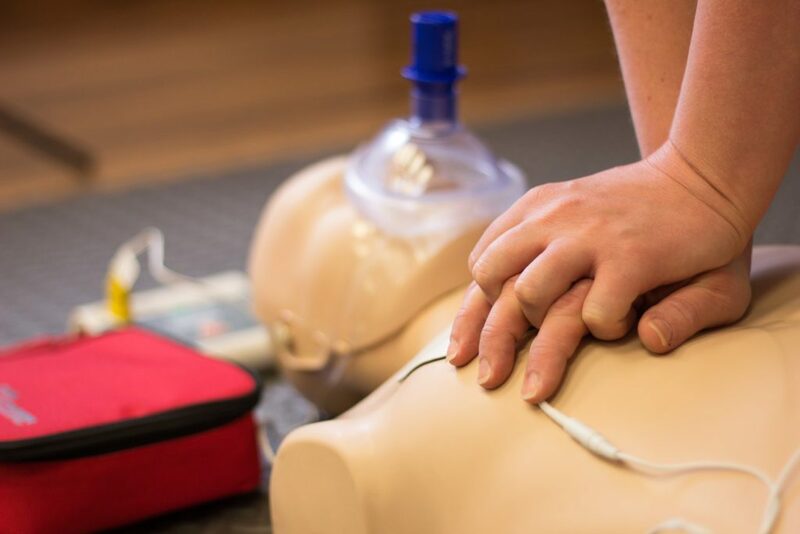 These Basic Life Support (BLS) & Defibrillator (AED) training courses are designed for organisations who have bought an AED and wish to train staff on its use. These BLS & AED Training courses are also often used as ‘annual first aid refresher training’. This helps an organisation to demonstrate that it is delivering ‘best practice’ in the care of it’s staff or visitors. Our 3 Hour course is almost entirely practical, and covers Basic Life Support for the unconscious casualty, plus CPR, and AED use. We usually deliver these courses at our clients’ site, whether that is an office, town hall or similar. The course is delivered at a date and time to suit you, and can even be an evening course if required. When used quickly enough, an AED unit with a trained operator can improve the chances of surviving a Sudden Out of Hospital Cardiac Arrest by up to 80%. Having an AED to hand, and knowing how to use it, can really be lifesaving. Our ISO9001 registration, robust Quality Assurance procedure, large team of highly experience trainers based across the country, and many years of experience make us the best choice for your first aid training requirements.